Benefit: No travel time! Get your workout done with little or no equipment at all! You do not require a large space to get in a great workout. There are so many wonderful and challenging full-body exercises you can do right in the comfort of your own living room. For minimal expense and the most bang for your buck, I suggest a few pairs of dumbbells, a stability ball and a yoga mat! Easy peasy! Challenge: You may not know where to start at home? What exercises should I do to get the best workout? There are many exercise DVD’s available and free videos on YouTube and the internet to help get you started. There are many personal trainers who will also come to your home! It is such a great service and convenient. 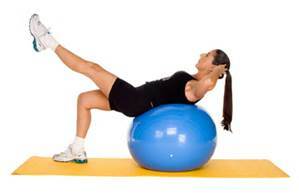 A personal trainer will take the guess work out of the equation and teach you wonderful workouts you can do at home. Benefit: Privacy. Many people feel shy or overwhelmed at the gym. They would rather workout in the privacy of their own home. They may not like crowds or just may feel hesitant to try new exercises that they do not know in front of others for fear of doing it wrong or looking silly. Challenge: It can be easy to get distracted and forgo a workout at home. The TV, couch, children, spouse can all be distractions. We tend to put our family first of course! A great way to get around this is to either do your workout when they are not home, or involve them in your activity! There are so many options. Take your family biking, walking, hiking; get them off the couch! WiiFit can be a fun way to get moving and get children involved, if you find they are too sedentary, or join a sport together! Your community has so much to offer in the way of fun sports! Ultimate Frisbee, Dodgeball, Baseball, Volleyball… so many to choose from! Think outside the box! Benefit: No Monthly Fee/Less Expensive. 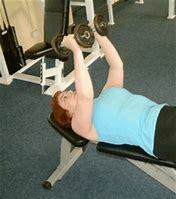 As mentioned above, you do not need a bunch of fancy equipment to get a great workout. There exists an endless number of full-body no-equipment moves you can do. Even heavy cans of food can be substituted for weights at home. A chair can be substituted for a bench etc. Challenge: Motivation. Some people find it hard to go it alone or get up the motivation at home for their next workout. Asking a friend or family member to join you can help and is free! If your friend is coming over for a workout, you will be less likely to skip it! Hiring a personal trainer to keep you accountable and on track can also help. It might be a little more money to hire somebody to come in, however it is worth it if you are the type of person who needs a trainer knocking at your door to ensure you get in your workout.